Video: TEDx Talks: An Epidemic of Beauty Sickness. Video: Good Morning America: Obsession with Beauty and How it Can Become a Sickness. Video: Chicago Tonight: Is Our Cultural Obsession with Beauty Making Us Sick?. Article: The Washington Post: Why Care About a Shoe Emoji? 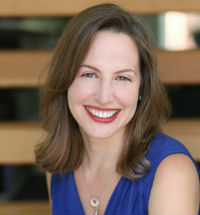 Dr. Renee Engeln has been a professor for eleven years at Northwestern University, where she teaches about psychopathology, the psychology of women and gender, social psychology, and the psychology of human beauty. She is an award-winning professor, having amassed over a dozen teaching awards at both Loyola University and Northwestern University. 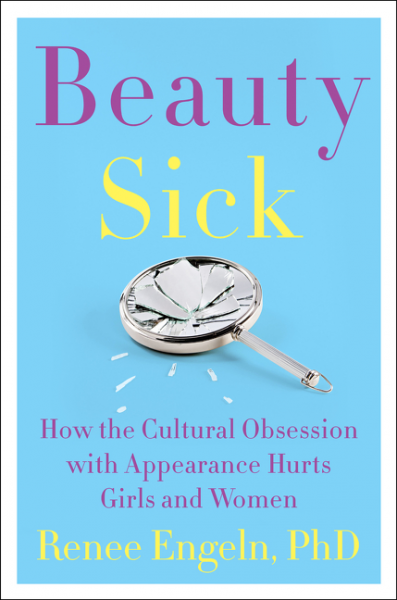 In Spring 2017, Engeln’s book Beauty Sick: How the Cultural Obsession with Appearance Hurts Girls and Women (Harper) debuted. In Beauty Sick, Engeln, whose TEDx talk on beauty sickness has received more than 300,000 views, reveals the shocking emotional, physical, and financial consequences of the cultural obsession with girls’ and women’sappearance, including depression, eating disorders, disruptions in cognitive processing, and lost money and time. Combining scientific studies with the voices of real girls and women, Engeln shares how women can break free from destructive attitudes and words—from body-shaming others to denigrating commentary about one’s own appearance. She also addresses how media campaigns that champion the “everyone is beautiful in their own way” mentality can be surprisingly damaging. She provides inspiration and workable solutions to help girls and women overcome negative attitudes, transform their lives, claim the futures they deserve, and, ultimately, change their world. In addition to publishing numerous empirical journal articles and presenting at academic conferences, student groups, and gender studies programs on body image, fat talk, and the objectification of women, Engeln presents talks on these topics to groups around the country. For several years, she worked as a consultant for Kellogg’s Special K and their campaigns to create advertising that helps women feel more positive about their bodies. Engeln is regularly interviewed by media outlets, including The New York Times, Chicago Tribune, Today.com, The Huffington Post, Think Progress, numerous local/regional newspapers, and college student publications. "I've seen Renee speak at two different universities now and she was extremely well received by students at both. Renee's research is fascinating and important. She has a powerful message to share about the way we talk to ourselves and each other and presents it in a way that is relatable and engaging. On a personal note, what I learned from Renee changed both the way I've done programming around body image within Higher Education and also has affected the way that speak. You won't be disappointed."